Honeymoon Island State Park is in Dunedin, FL. 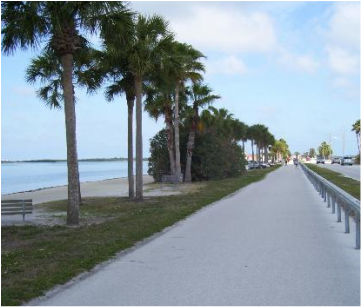 Trail along the Dunedin Causeway. The Honeymoon Half and 10K race begins in Honeymoon Island State Park on the Oasis Trail. 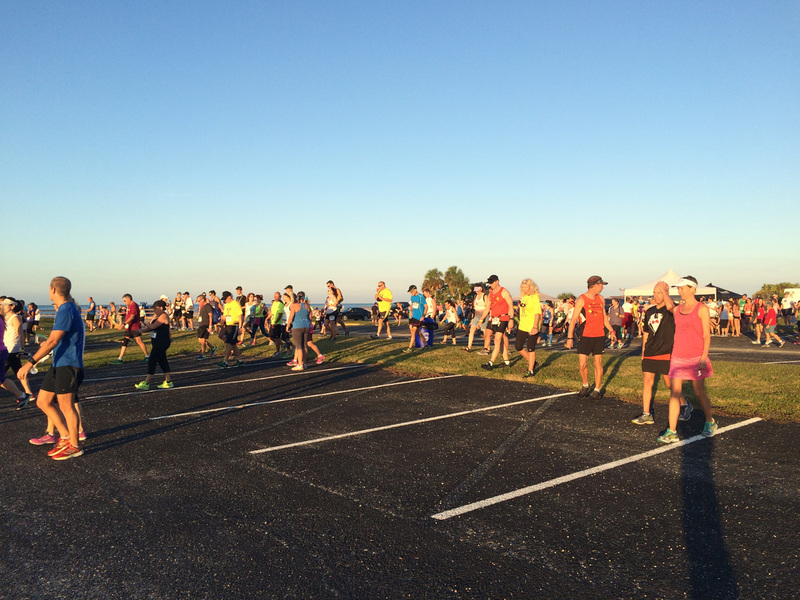 Runners start in a huge parking lot, then run on trail and roadways which lead out of the park onto the Dunedin Causeway. The race course travels across the causeway bridge to the mainland, then turns around, goes across the bridge and into the state park again. Packet Pickup: Yes. 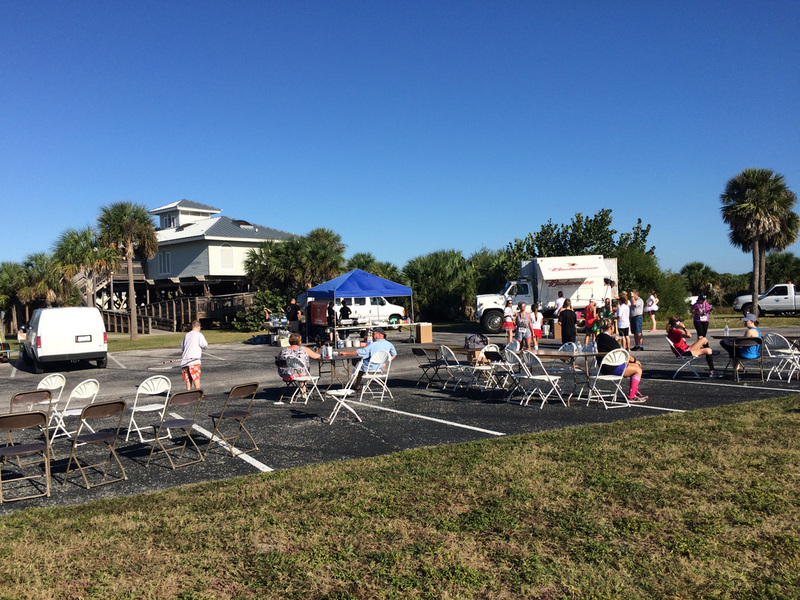 Local pickup from 4-6 pm on the day before the race at Family Fitness Center on the Dunedin Causeway. No expo. Race Course: The course was modified for 2015 so that it was mostly on paved trails and parking lots. (The first year included running on the beach.) No shade. Nice nature and waterway views. 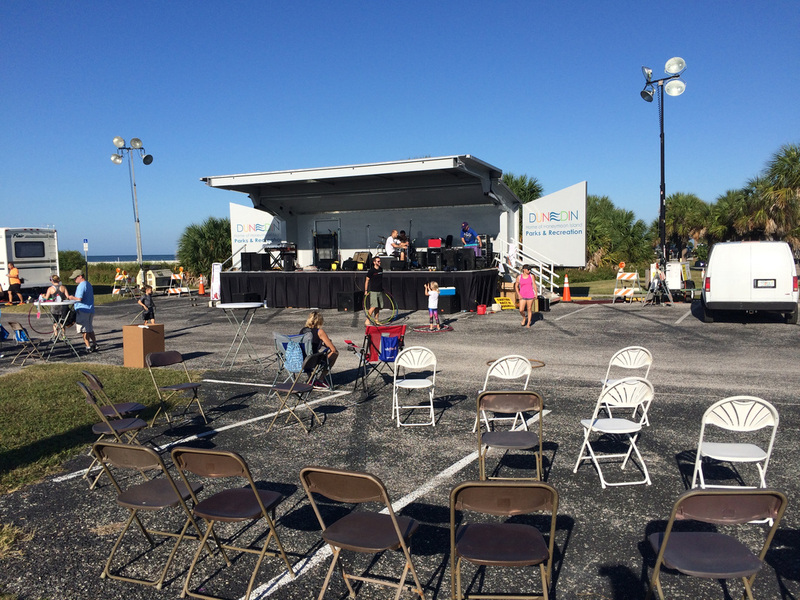 NOTE: The 2016 course will be in downtown Dunedin. Aid Stations: There were 2 aid stations. Since it was an out and back, 10K runners passed each one twice for a total of 4; half marathoners passed them 4 times for a total of 8. Warm water only while it lasted. It did not last. Park Entry Fee: Entry fee to the park was waived for runners arriving before 7 am. Usual fee is $4-8. Parking: Parking was easy and free. Arrive early for the best spot. Short walk to the start/finish line. Restrooms: There are permanent park buildings with facilities. There were 7 port-o-lets. Cost: Half I signed up in March and paid $60. This race is capped at 1,000 runners. SWAG (Stuff we all get): The website advertised all runners would receive a short sleeve tech shirt AND a sweatshirt. (You could add a second short sleeve shirt for $10 if you wanted to be a bridesmaid or groomsman for the wedding that took place after the race.) Finishers medal and race bib. 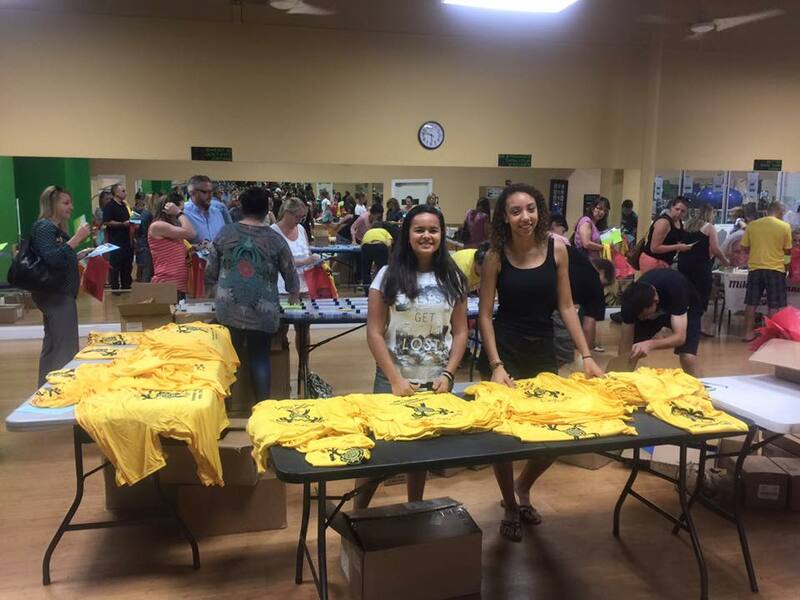 No sweatshirts were delivered, but runners did receive a fun yellow Tshirt. Post Race Festivities: The post race party was promoted as live music, free beer and breakfast with a wedding for the race director and her fiancee scheduled for 11:08 am on the stage. Reality: warm water, beer foam and no food. See my race recap for details. Photos: There were rumors of free photos, that would deliver via Facebook, but I never saw them. I don't remember seeing any photographers on the race course. Awards: Huge, tropical medal for all finishers. Plaques for age categories. Timing Chip: Yes. Old school chips. Runners attached chips to their own shoes. The chips were collected at the finish line. Race Results: 2015 results are on CoolRunning.com. Weather Report: Brutally hot. It was 73º at 4:30 am. It was over 80º at start time. The "feels like" temps were in the 90s. Extra Info: There were no cold drinks of any kind at the finish line. The food and beer were not ready an hour and a half after the race began. I didn't wait around to see if music and food magically appeared at 10 am as promised. Honeymoon Island is a gorgeous park. It's a great place to spend the day. There is a cafe, bicycle and kayak rentals, and tons of wildlife and waterfront. Packet pickup the afternoon before the race. Goodie bag included shirt, bib, wrist band, protein bar, several samples and an odd piece of candy. Runners crossing parking lot to the starting line. Post race area 1-1/2 hours after start of race. Entertainment stage in background. Post race party area. No shade. No beer. No food. Yet. So much asphalt. 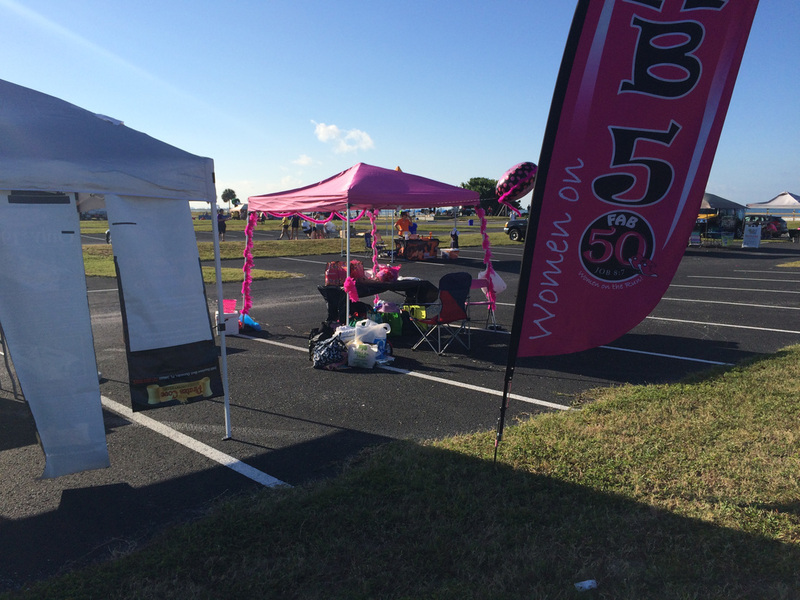 The only tents belonged to the vendors. 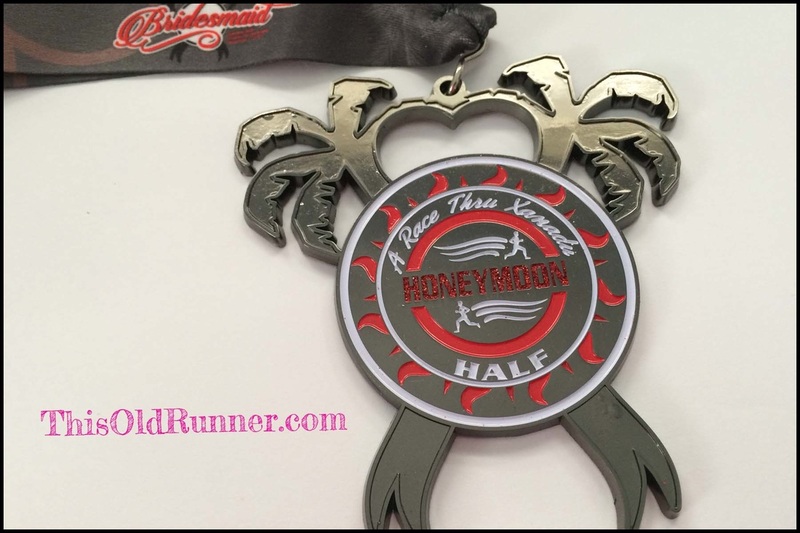 Half Marathon medal for the Honeymoon Island Half. 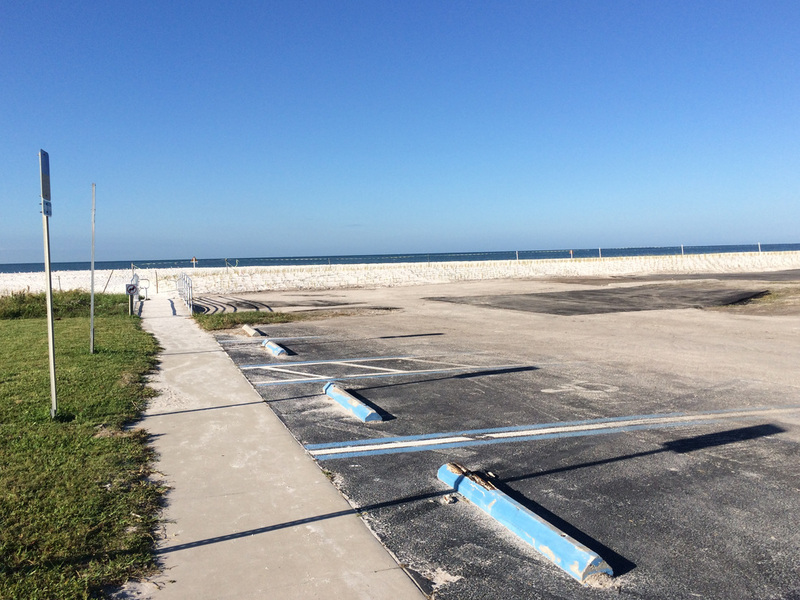 I saw tons of parking lot during the race, but there is a beautiful, white sandy beach at Honeymoon Island. I checked the temperature at 4:30 am and knew it was going to be unseasonably warm for this November half marathon. 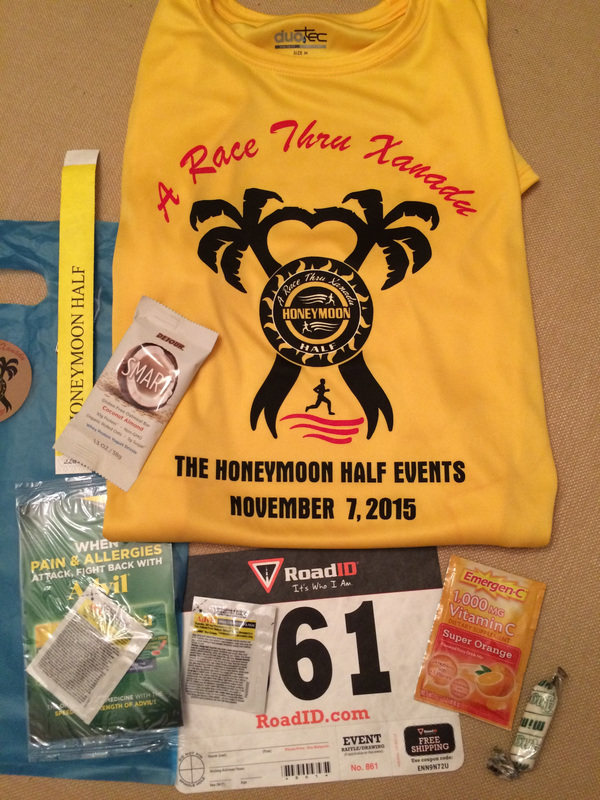 Read my personal race recap of the 2015 Honeymoon Half.